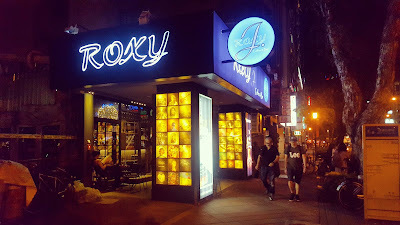 The latest contribution to a more than 30 year legacy of Taipei bars and nightclubs, Roxy J is a throwback and a homage to the original Roxy bar, which stood on the exact same soil as Roxy J does today. The original Roxy established a precedent for the style and attitude of all future Roxy bars, and this newest addition, named for the owner's wife, does not fall far from the Roxy tree. Roxy maintains every aspect of the Roxy feel, with vinyls lining the back wall that DJs who have been spinning since the original Roxy will happily play on request. 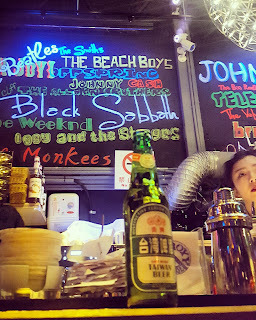 The rest of the walls are graffitied with the most renowned musical artists from past and present. Several panels on the wall pay homage to the Roxy legacy featuring the logos of Roxy bars that have came and went. The staff at Roxy J is as friendly as a Roxy patron would have come to expect, and the crowd is a mix of loyal Roxy mainstays and a new generation of potential 'Roxyers'. Drink selection is, disappointingly, largely unchanged from past Roxy bars. 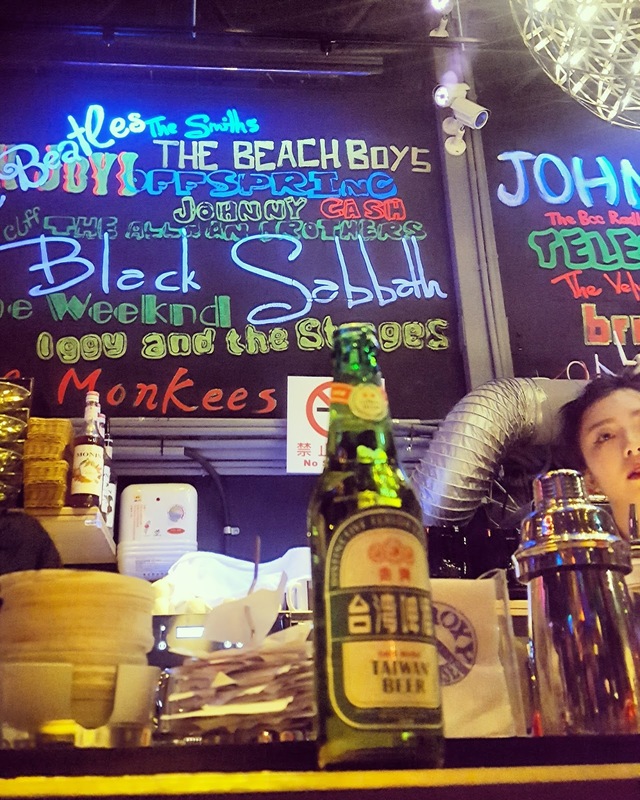 While more and more students bars have adopted the craft beer trend, Roxy J only carries Taiwan Beer and Heineken. Classic cocktails and highballs are also available. In addition to alcoholic drinks, Roxy offers coffee beverages from their state of the art espresso machine. Roxy J is a nice bar and cafe, but it remains to be seen what Roxy J can bring to the ShiDa neighborhood that makes it any different from Roxy Rocker (which is only a block away). 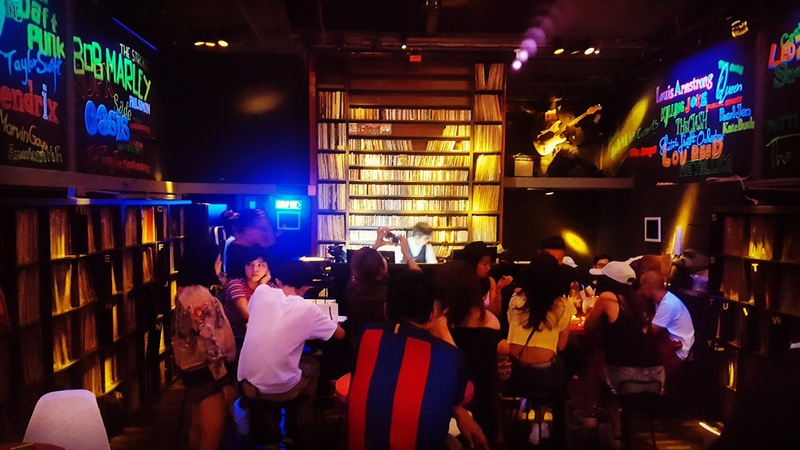 On the surface, Roxy J is a great spot to hang out and request your favorites on vinyl; however, one can't help but wonder why they vinyl room couldn't have happily remained in the back of Roxy Rocker.